Better Together Mexico destination weddings, born from an impulse and enthusiasm of Cecilia Reyes & Vanessa Pedraza. After working separately as Luxury Wedding Planner at a 5 Diamond hotel and a Destination Manager. We decided to team up after they discover the joy behind helping couples to achieve the lifetime adventure of a dreamed destination wedding and share our love for Mexico and its culture. As a creative team, we are always looking to reflect the couple´s ideas and personal vibe; making of the destination wedding planning in Mexico a stunning, unique, and enjoyable experience for all. It is clear for us that a Destination Wedding Planning in Mexico, or anywhere should be effortless, breathtaking, fun and authentic… just like each couple. We are the founders of Better Together Mexico, but we understand that we are also the beating heart of it. Honesty, clarity, warm service and the feeling of helping to create something incredible, is part of our team soul. We love to be involved in each step of the destination wedding planning process to assure that couples will have that flawless and luxury experience. Cecilia Reyes… Founder of Better Together Mexico is quite a curious person – so Sagittarius – and I`m always looking for new challenges. My start as a wedding planner goes back to 2008 when unexpectedly had the chance to lead the opening of the Wedding Department for a Hotel of the Secrets Resorts brand. After a few years later; made a collaboration with the Technological University of the Riviera Maya as a part-time teacher; as part of that believe that my experience can serve for more. Additionally, you can find me making some Paddleboard, Horseback riding, dancing, reading a book, traveling, taking some weird course. enjoying a glass of wine or spending time with my family or my friends… nevertheless, my passion is to be Wedding Planner! | I believe that ALL dreams are always possible. Co-founder of Better Together Mexico, entrepreneur, digital marketing fan. Experience in the Hotel Industry, customer service, public relations, sales, Business strategies in Digital Marketing. 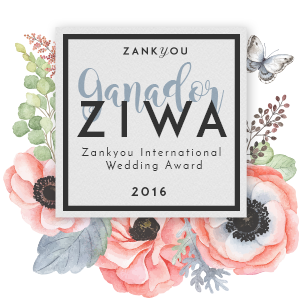 Certification in Weddings Beautiful Worldwide and ABC Member (Association of Bridal Consultants), Certified in Green Weddings and certified in Jewish Weddings. creativity and adding special touches. She loves to learn, look for new ideas, useful things to create and share with everyone, experiment and visit new places. | I am dreamy and romantic! | I consider: energy + will + good attitude = success. … Things happen !! In the near future, we would like Better Together Mexico it was recognized as a company that plans weddings with “Love” … And why not? Also, recognized for CREATE new trends!